As one might have clearly seen, I have a rather jumpy writing style, going hither and thither throughout the repositories* of my work. Here are my current projects, and by current I mean I worked on them recently. No guarantees when any of this will see the harsh light of the thousand-fold eyes of teh internets. 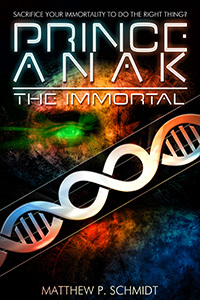 Not so much the sequel to Prince Anak the Immortal as the original book to which Prince Anak is a distant prequel. More details come and go (such is my writing style) but I can guarantee a five headed alien and a sassy, severely burned teenage girl. For much younger children (think ages 10-12) a new series about a magic mirror, many alternate worlds, and possibly excessive amounts of textiles. For once I am writing something light-hearted! Dive for cover! A portal fantasy best described as a reconstructed deconstructed Narnia. It is in that nebulous category of “New Adult” where swearing and sexual themes may be present yet not actually dominating the narrative (as the old adult category unfortunately tends.) More details exist, but you might rather like them as a surprise. A story of a society in moral default, with magical credit cards, Djinni that grant wishes, and debt collectors in the form of black, monstrous machine-creatures that would drag the debtor’s dead corpse into the depths of the Earth. I think it’s as cool as it sounds, but the Muse hasn’t always called me to it. A sad story about the bringers of the end of the world and the girls who do(es)n’t love them. Still too early a juncture to tell more. Tidbit: magical warrior maidens of ancient blood having to remain maidens lead to certain complications in furthering that ancient blood. There are many short stories in various stages of completion and editing, ranging in theme from the tragic-yet-hopeful The Seven Thousand to the tragic-yet-hopeful Those who Live by the Death of Stars. More unfinished stories still wait for completion, though should I begin to name them I would not finish. A roguelike written in Python. Programming has virtues that writing does not, such as using a different part of the brain. This is the most successful of all the game projects I have begun, and I hope it will remain so. See, this is what happens when you start to post about a book. Your muse might beat you with a metaphorical blackjack and drag you by your hair into another work entirely. One thing led to another, and I haven’t touched it in months, though from time to time I remember it. It is in the pile of “Will work on later” and not in the graveyard mound of books that I no longer feel the desire to complete or to which hear the Muse’s call to return. That latter pile is composed mostly of many prior versions of both The War Against the Gods and The Shackled Servant of Lauriel, though other names were given to both at earlier stages. Most of them are better left dead. To reiterate, however, The War Against the Gods is merely on hold… for the moment. I now seek to return to these writings that is writing and not the writings about writing. Farewell for the moment. * git is the new guardian of old versions that I have chosen. The option of LibreOffice’s own features I have discarded due to my obsessive pressing of the CTRL key followed by that of the S key. NONE SHALL BE LOST! …unless I don’t want to commit it.